We hope your Summer Solstice is full of love, light and magic! May many blessing be bestowed upon you. The time is fully charged and magnified with radiating energies to manifest. Stay focused and keep watering your dreams. They will grow into an abundant field of gold before you know it. 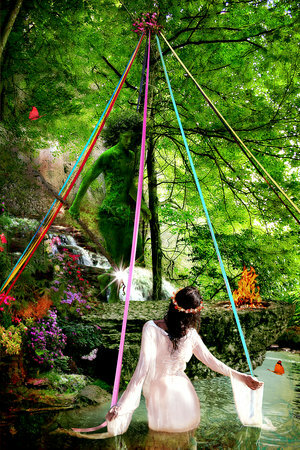 Celebrate your awesomesome and remember to spend some time dancing amongst the faeries. They do love a good party! Summer Solstice 2014 is at 3:51AM PST. 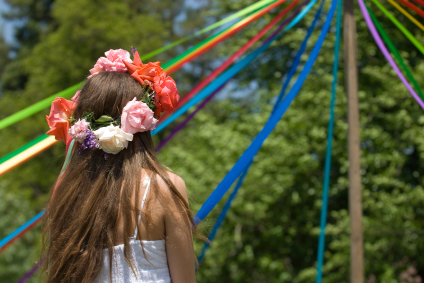 If you are looking for ideas on creating a Summer Solstice ritual, be sure to check out our blog post Steps to Creating a Sacred Ritual. As we move through the darkest time of year, hold your vision strong. Allow yourself to see the love in your heart, all the love you have culminated for yourself, and the love of the divine. Let it to surround you. It’s the return of the light! 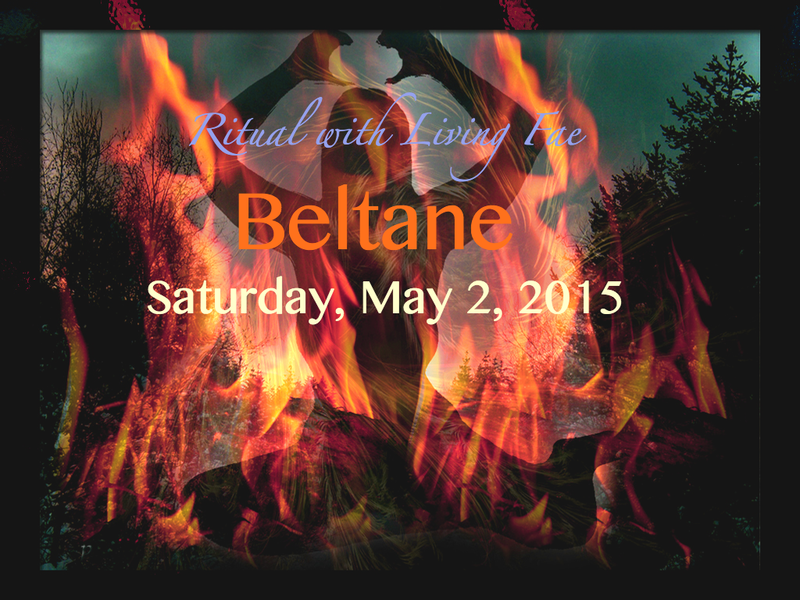 Do you have a ritual planned for yourself for today? Even if it’s just a few moments, take some time to reflect on the year gone by. Remember all the moments, the magic, the good, the bad, the happy, the sad, the joy and the pain for every single one of them is a blessing. Even when it doesn’t feel like it so much. If you don’t have your own ritual here’s something you can do, feel free to modify at your Will. – Draw a bath, light some candles, put some bath salts or aromatherapy in the water and take a ritual bath. Allow yourself to absorb into the water. Feel it embrace and cleanse you. And when you drain the bath, relax and stay in the tub as you feel the water drain down. – Light a white candle and perform a candle meditation. Focus your mind on the light of the candle. See yourself as the light of the flickering flame. You are being reborn, yet again. – Send blessings of light and love to all the people you love. Embrace them with your pure heart and light. Hold them through any darkness and pain. You are love. – Send blessings of light and love to whole the world, Mother Earth, all the creatures, all the people. Embrace them with your pure heart and light. – When you are finished with your meditation do something creative. Allow the elements you use to symbolize your intensions, dreams and goals for the upcoming year. It could be as simple as writing in your journal, or you could create a visualization board, make music or use your creativity in the company of your friends, family, and social network in way you haven’t tried before. – We like to create a yule log. Our yule logs are a simple oak log decorated with magical herbs, flowers and oils. Once the log has been created we bless it, call the quarters, invoke it with our gratitude, bestow our dreams and wishes upon it, sprinkle it with glitter and burn it in a sacred fire. Many blessings of love, light upon you as the light returns! Hail to the faeries, hail to the divine, hail to you – the light! Happy Mabon Faeries! The Wheel of the Year turns yet again. Today marks the Autumn Equinox in the Northern Hemisphere where there is equal balance between light and dark / day and night. We celebrate the fall harvest and the coming cool evenings as the nights continue to grow longer. I don’t know about you, but I love fall. 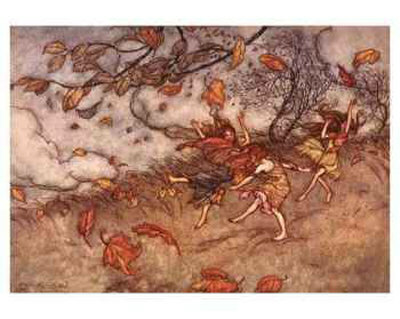 It’s a nostalgic time of the year that reminds me of being a child and all the fun the fall season brings. All the yummy flavors and fun events…. pumpkin treats, apple cider, hot cocoa, Halloween, cozy sweaters and boots. Traditionally Mabon is a harvest festival to honor the God and Goddess to secure their blessings in the coming winter months. It’s a time of relaxation, balance and a time to honor the spiritual mysteries and the spirit world. Symbols of the season are wine, gourds, pine cones, acorns, grains, corn, apples, pomegranates, vines such as ivy, dried seeds, and horns of plenty. You might consider using these items on your Mabon altar or in a feast to honor the season. Colors associated with this time of year are red, orange, maroon, browns and golds. 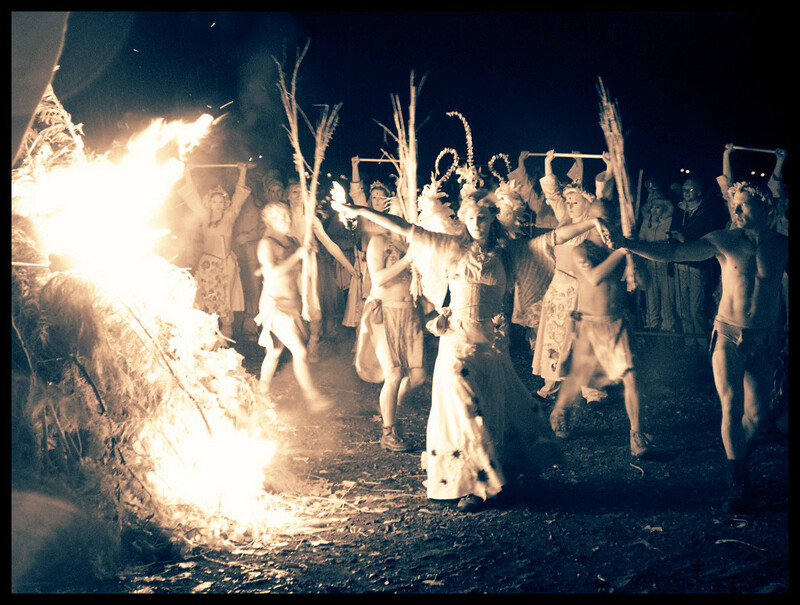 Deities often associated with Mabon are: Goddesses – Modron, Morgan, Epona, Persephone, Pamona and the Muses. Gods – Thoth, Thor, Hermes, and The Green Man. Some good activities to celebrate are making cider, gathering herbs, taking a walk in the woods, visiting a local farm for harvest, offering libations or offerings to trees and ancestors, gathering leaves and acorns, building a seasonal altar and having a harvest feast. It is also a good time for spell workings for protection, prosperity, balance and security. I find that no matter what is going on in life it’s always good to take some time out and honor the season. I used to get sad to see summer pass knowing that the winter wasn’t far off. Nowadays by honoring traditions of the season it sets a tone, and appreciation for the season. It makes me feel optimistic and hopeful about life and to be grateful for all I have in this moment. I plan on building an altar using fall colors and fall flowers and making incense offerings to the faeries and my spirit guides to offer my gratitude for all the blessings in my life. I am also going to cook a harvest feast and share it with my loved ones. Since this season is all about balance I also plan to take a hike in the woods at a local favorite spot so I can exercise my body and connect with the spirits of the woods. I hope this inspires you to take time out, in whatever way feels right to you to celebrate and honor the Autumn Equinox. Happy Mabon to all! 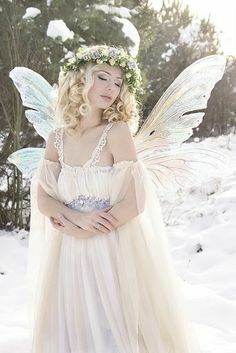 Wishing bright blessings of abundance and happiness with golden glittering showers of faerie dust and magic to you and those you love. 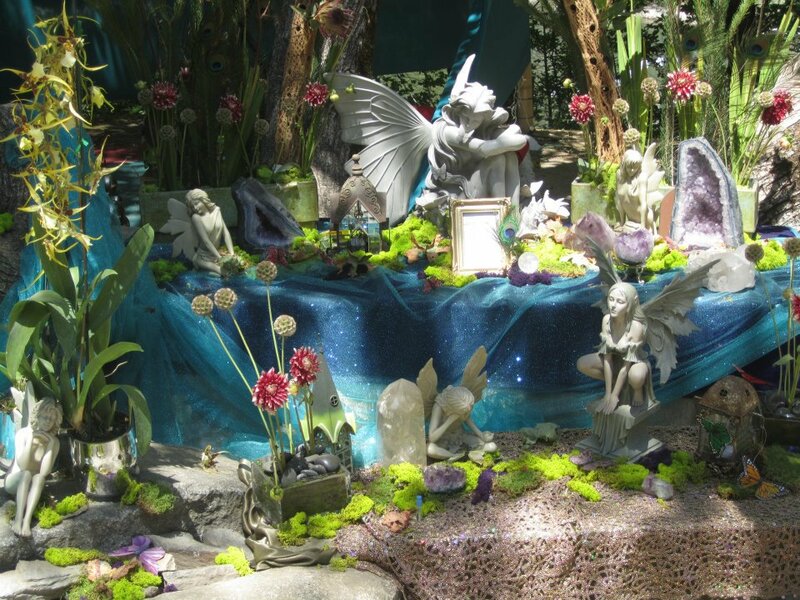 We are very excited to announce that Living Fae is building a faerie altar at Lightning In A Bottle this year. 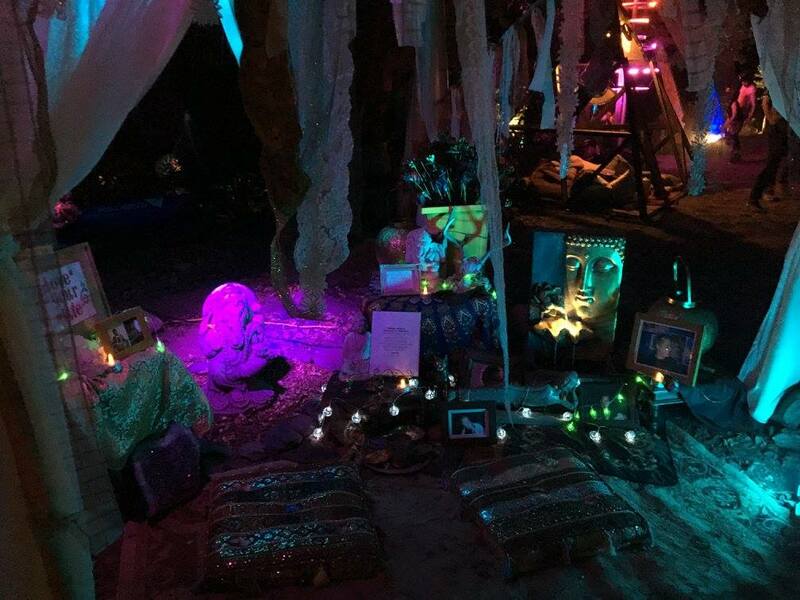 The altar will be located up at the Lucent Temple of Consciousness which is being built and designed out of recycled and found objects by Brent ‘Shrine’ Spears. Please come by to be inspired, meditated and connect. Lightning in a Bottle is May 24th – 28th in Silverado, CA. 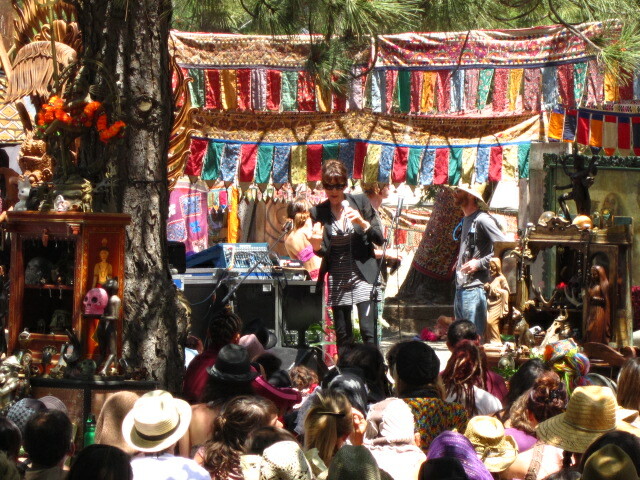 For more information on Lightning In A Bottle check out the website at www.lightninginabottle.org.